Best-selling author Tim Marshall told A-level Politics and Geography students about the worldwide renewed rise of nationalism and identity politics in a talk on his latest book. 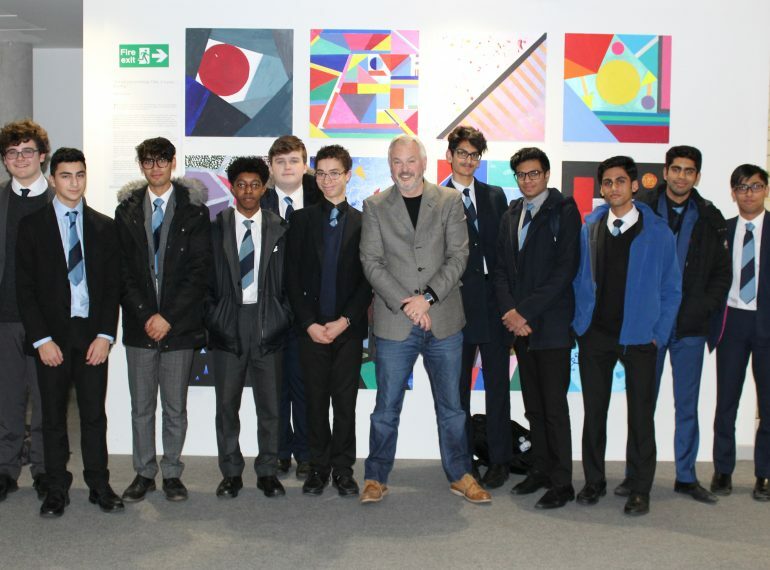 The former diplomatic editor and foreign affairs editor for Sky News was visiting South Hampstead High School, which invited QE to send along boys with an interest in the subject. 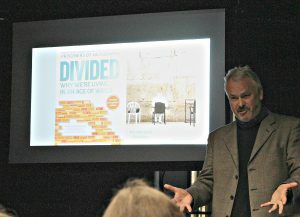 In an early-evening event, he spoke for 45 minutes on Divided: Why we’re living in an age of walls to an audience that included 11 QE boys, as well as QE’s Head of Geography, Emily Parry, Head of Politics, Liam Hargadon and Geography teachers Helen Davies and Nilisha Shah. Miss Parry said: “In his talk, Tim discussed how we feel more divided than ever and how nationalism and identity politics are on the rise once more. Thousands of miles of fences and barriers have been erected in the past ten years, and they are redefining our political landscape. “He highlighted how the proposed wall between Mexico and the USA isn’t the only wall which should have our attention, but how many walls and other physical divisions exist throughout the world, such as the wall between Israel and the West Bank and the fence separating India from Bangladesh. In the Q&A session following the talk, there was a discussion about topics such as whether the rise of nationalism means we are seeing an end to some forms of globalisation. Mr Marshall was also asked whether, in the context of the mass migration movements seen around the world, open borders should exist: he felt that they should not. At the end of the event, he signed copies of his books, including his 2015 best-seller, Prisoners of Geography.